According the available information the Teacher Recruitment Notification is going to be released with District wise Vacancies lists. The notification is likely to be announced on in the month of Sep 2014. 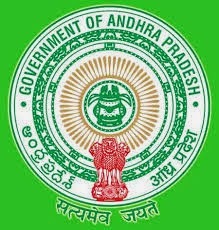 According to the available source Chief Minister of Andhra Pradesh Mr. Nara Chandra Babu Naidu has already given the Orders to issue the recruitment notification to the District Selection Committee. and Telangana state Govt also will be going to announce the Telangana TS DSC 2014 Notification very shortly. The recruitment processes is based on the written test and other eligibility criteria as stipulated by the government. In the written examination unreserved candidates must attain 60% marks, 50% and above for OBC and for all reserved candidates should get 40% of marks and above. More Updates like AP DSC 2014 we will Updates daily News for all latest AP DSC 2014 daily Updates here so please Bookmark this page . please correct last two sentences as if dsc is being conducted in the last week of dec-2014 how can you give its results in 1st week of dec-2014. Hai sir plz tell me the ap dsc 2014 notification and all latest updates for ap dsc . and we are all wating for this event sir. could you plz provide updates detials for this Notification. Thank you for sharing Article ....Nice information !! !